This is a self-extracting installer, which installs the program and the help file. Download this file to your hard drive and then open it to begin installation. After installing, you can run EchoLink from the Programs section of your Start menu. If you are upgrading from an earlier version of EchoLink, do not un-install or delete your existing software. Simply download and install the new version, and the software will be upgraded automatically, retaining all of your existing settings. Windows 8 Users: There is a known problem with the InstallShield un-installer on Windows 8 and Windows 10. Please do not attempt to un-install this EchoLink package after you've installed it. An updated package that is compatible with Windows 8 and Windows 10 is in the works. 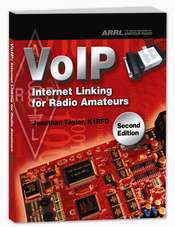 Download EchoLink for Android from Google Play. Download EchoLink for iOS from the App Store. Proof of license is required for all new EchoLink users. After downloading and installing the software, please run it to register your callsign with the system. Then, to begin the validation process, click here. Note: If you have difficulty installing on Windows 2000 and older Windows versions, you may need to first update your Windows Installer system; download and run one of the links below. Works together with EchoLink (version 1.9 or above) to allow access to the EchoLink network via restricted Internet services in hotels, airports, offices, and other areas. 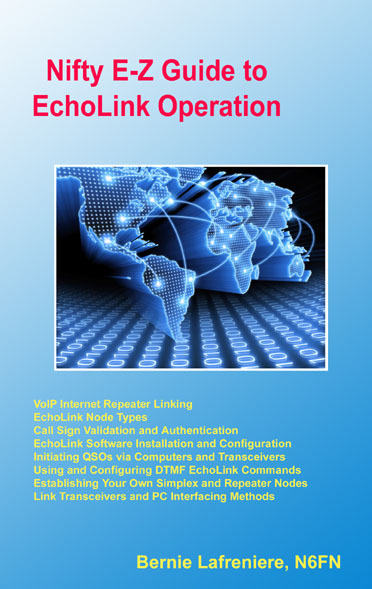 Please see EchoLink Proxy for more info and installation instructions. Printable version of EchoLink's Help file (ver 1.8.874). Requires Adobe Acrobat Reader 4.0 or above. Information for software developers interested in creating programs and scripts to interact with the EchoLink software. Note: You must download this file before opening it; do not choose "Open" or "Run" after clicking the link above.